Over the last months developers have contributed several open source projects on OpenNTF.org to build extensions to IBM Connections and to access IBM Connections from custom apps. Below is a short overview. IBM released the Social Business Toolkit SDK which can be used by web and Java developers to easily access IBM Connections. Phil Riand said in his Connect session that you can expect frequent updates to this SDK with even more functionality. Watch this video for an overview of the SDK. Recently OpenNTF announced the Appathon. 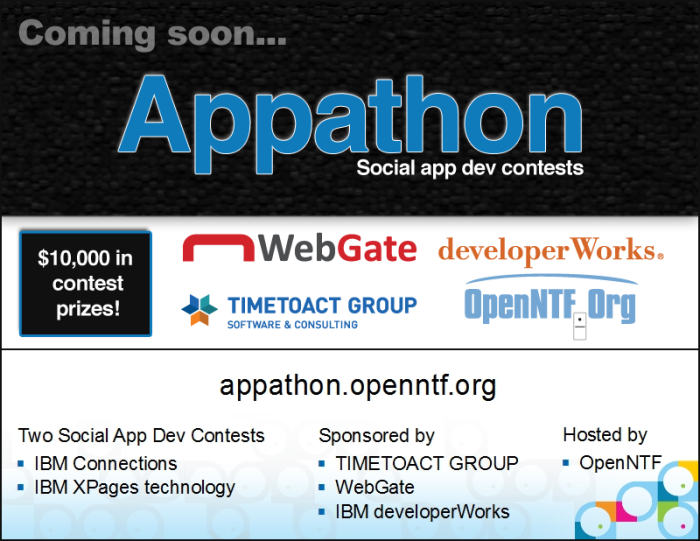 As part of the Appathon there is a dedicated development contest for IBM Connections. We'll describe and launch this contest soon.